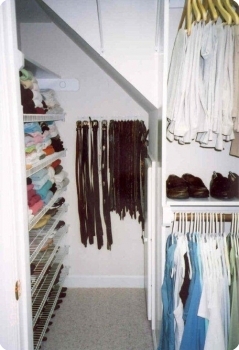 Just because a closet has an odd shape doesn’t mean it can’t be organized with the right systems! 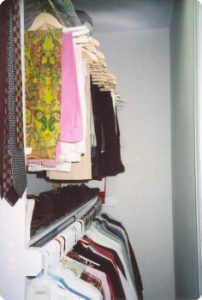 Clothes organized by type and color in narrow closet. 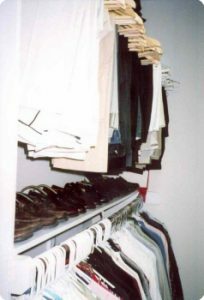 The slacks/pants were moved to the top bar to create space underneath, thereby allowing room for the shoes. 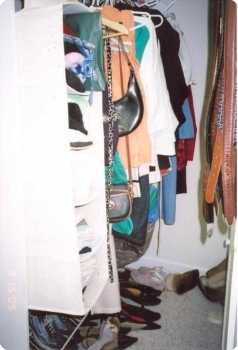 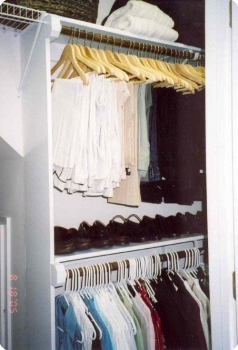 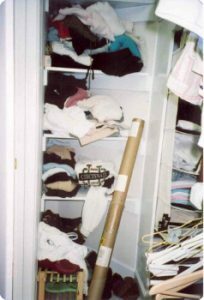 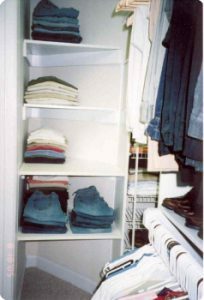 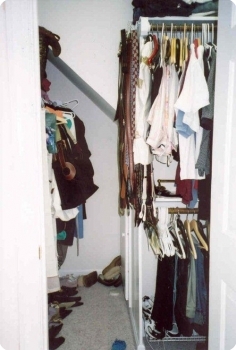 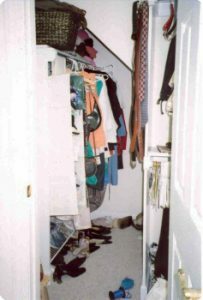 The clothes were removed from this section of the closet and shelving was installed to hold shoes and folded clothes. 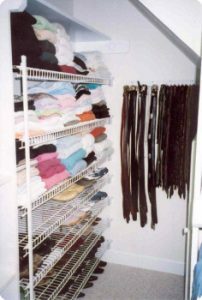 A rack was installed on the back wall to hold belts. 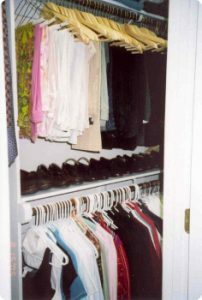 Newer Post Bringing order to this hall closet	Older Post Small Apartment, Big-Time Organization!